Banking and financial services organizations have started evaluating the value of robotic process automation (RPA) tools with pilots in the areas of operations, finance, or both having repetitive, time-consuming and logic-driven tasks. A range of business benefits such as a significant boost in process efficiency and reduction in costs were realized along with a demonstrable return on investment within weeks. Now many organizations have shifted their focus decisively from exploration to enterprise-wide execution of RPA technology in the areas of risk and regulatory compliance. The banking and financial services sector accounts for approximately 40% of the RPA technology investment which is expected to touch nearly $1 billion by the end of 2019; where functions related to risk, and compliance are expected to take up approximately 10 to 15% spend. Risk and compliance control, monitoring, and reporting processes are highly manual, error-prone and repetitive in nature. RPA can help organizations to automate these processes, enabling process efficiency and agility to scale as per need. Let’s have a look at the processes that are the best fit for RPA technology. A recent Booz Allen Hamilton report states that AML analysts typically spend only 10% of their time on analysis. The bulk of their effort, close to 75%, goes into data collection and another 15% into data entry and organization. The entire process of anti-money laundering investigation is manual and takes anywhere between 30 to 40 minutes for every alert depending upon the complexity, bank’s standards, availability of information in the various systems, etc. Tasks that are repetitive and standard can be automated with RPA, enabling more than 50% reduction in time. Moreover, RPA software provides detailed logs of automated processes in form of a report for a quick review. Further, software bots are easy to re-configure, making the process change faster and easy to accommodate new regulations. The average financial firm spends US$60 million per year on KYC, customer due diligence (CDD), and client onboarding. (Source Thomson Reuters, 2016 Know Your Customer Survey), Moreover, the cost of running KYC compliance and customer due to diligence can be significant, ranging from US$52 million a year (for a bank) to approx., US$384 million, as per the recent survey conducted by Thomson Reuters. 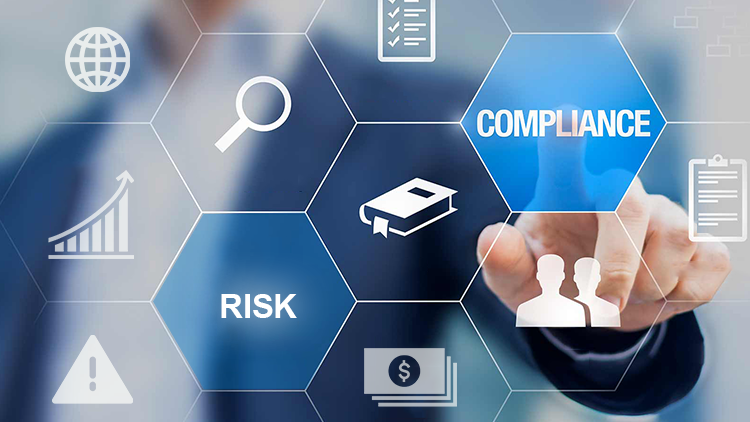 Some manual and time-intensive activities related to KYC that are good candidates for RPA include customer information gathering from disparate sources, data entry, validating existing customer information, and compiling and screening those data. Such automation enables the organization to better serve customers with reduced process handling time by 80%. While reaching to the point where the end-to-end regulatory reporting process can be automated seems a complex undertaking, banks and financial firms can focus on the areas within report generation that can provide an immediate and bigger return on investment. Activities that are a good fit for RPA include optimization of data extractions from various internal and external sources, standardizing the process of data aggregation, developing reporting templates, and report reviewing and reconciliation. As part of the end-to-end account closure activity, the support team performs multiple tasks such as checking the availability of the documents in the bank’s records, sending email notifications to clients and branch manager, and updating the records in the system. RPA solution can automate these manual and time-consuming tasks, freeing up the support team to focus on more productive operations. As per the trend of adoption of disruptive technologies, in next 5 years, BFS firms and their service partners will start pivoting from targeted technology-specific digital transformation programs to broader, end-to-end initiatives. There will be a shift from bottom-line impact to top line impact as the industry will experience tremendous value from emerging technologies and will gain confidence in the adoption methodology.